Hello! I have a very pretty polish to share today. 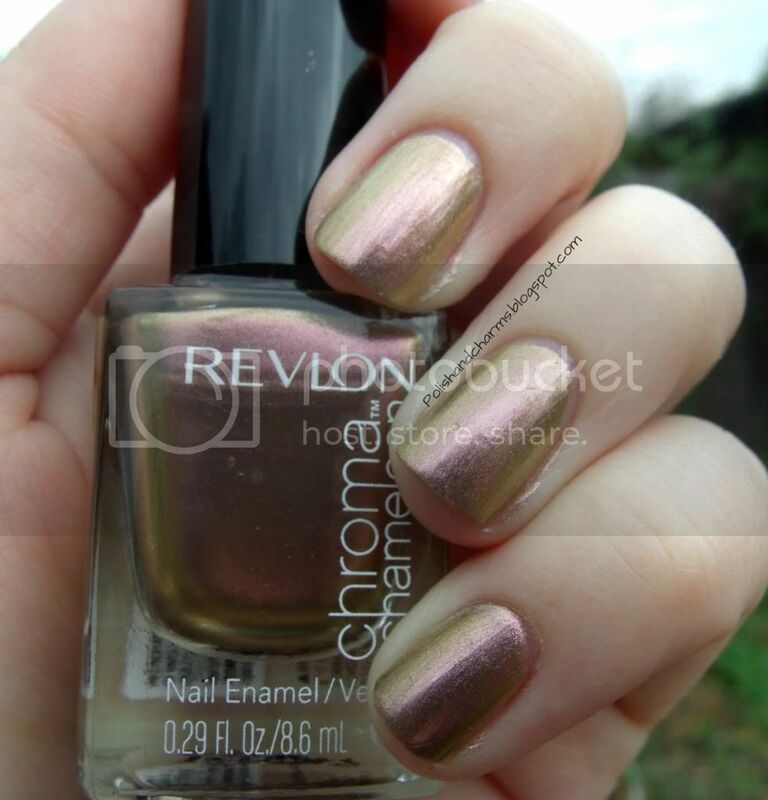 This is Revlon Pink Quartz from the Chroma Chameleon Collection. Had I been paying attention when I picked this up, I probably would have put it back as they retail for $7.99. For me that was a lot and I actually bought 2! These do live up to the name though and the shift is pretty. This goes from a pink to gold. I did have to use about 4 thin coats to get even and completely coverage, but I don't think it looks too thick on the nail. These are also like metallic polishes in that you can see brush strokes, but I don't mind that either. Enjoy! Wow. Gorgeous! Almost like a rosy-gold! However for drugstore $7.99 is definitely a bit steep! /= Worth the money though! Cant wait to see the other one! Yea, not sure why they decided that! Yes, too steep if you ask me, but pretty! This one is pretty, too! I know! 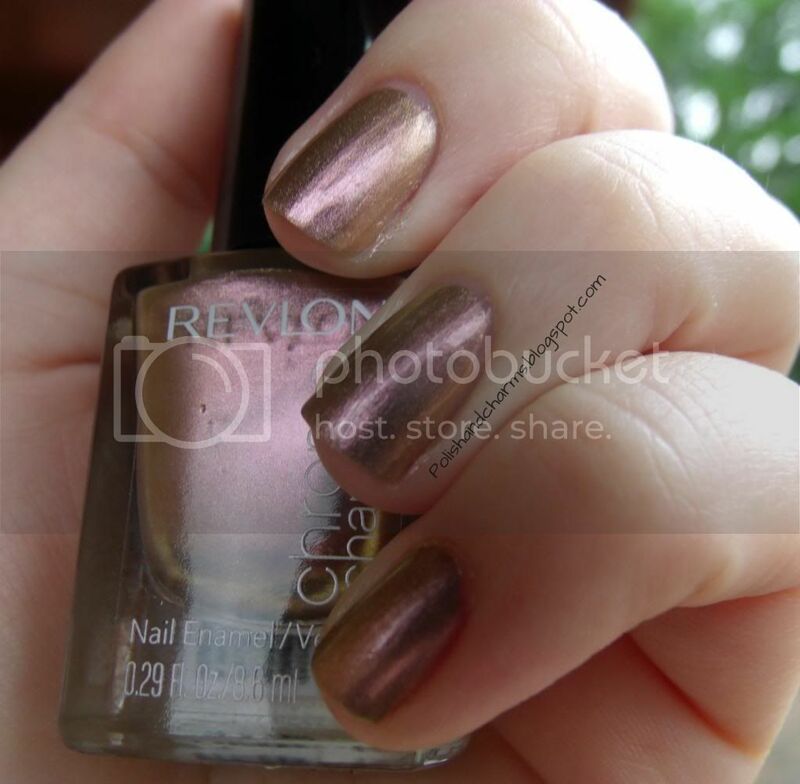 I thought it was a little too steep for Revlon. What a great kicked up neutral!